The Polycom Studio is the ideal solution for small meetings rooms and huddle spaces that need professional grade video collaboration capability. 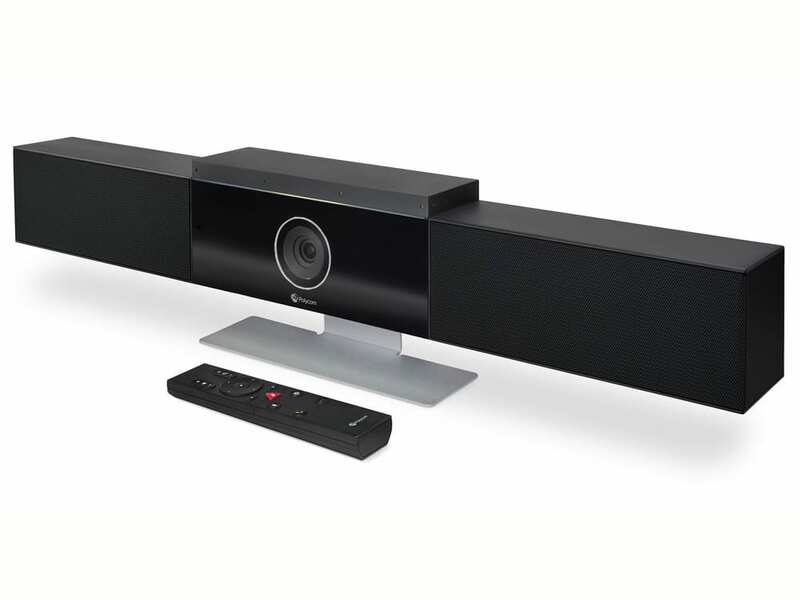 The Polycom Studio is an all-in-one USB video bar that has a built-in 4k camera, microphone, and speaker with high-end Polycom sound technology. Call 1-866-323-5773 to talk to an expert about the Polycom Studio. The Polycom Studio is the ideal solution for small meetings rooms and huddle spaces that need professional grade video collaboration capability. 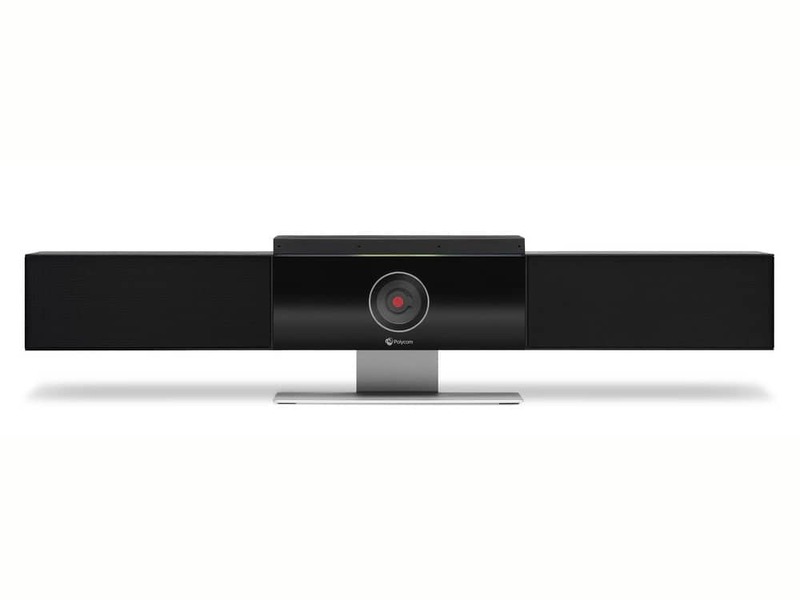 The Polycom Studio is an all-in-one USB video bar that has a built-in 4k camera, microphone, and speaker with high-end Polycom sound technology designed specifically for video conferencing. The Studio has a USB 3.0 type C output for easy plug-in-play connection to your preferred device and works great with any of your favorite web conferencing applications like Skype for Business, Microsoft Teams, Zoom, GoToMeeting, and countless others. 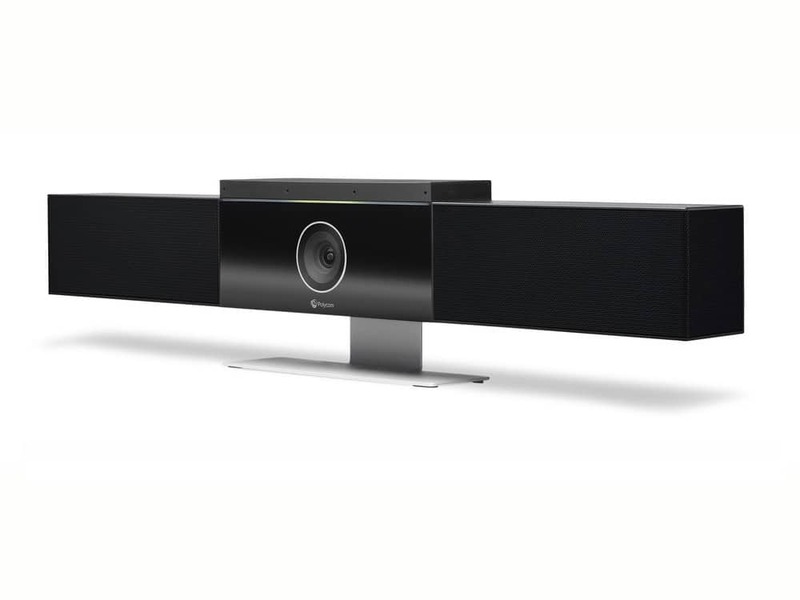 The wide 120° field of view allows you to capture the entire room and built-in camera tracking automatically frames all the participants and zooms in on the active speaker while they are talking. Polycom’s industry-leading sound technology truly sets the Polycom Studio apart from the competition. Polycom Noiseblock and Acoustic Fence keep only the speech from participants in the Studio to be transmitted over the conference, blocking all unwanted sounds such as loud air conditioning, noises from a nearby space, and even the rustling of papers or a squeaky chair. The microphone array includes six element beam forming microphones that combine to provide a pickup range of up to 12 feet at a 120Hz-16kHz frequency. The Studio also has an optional expansion microphone if additional coverage is needed. 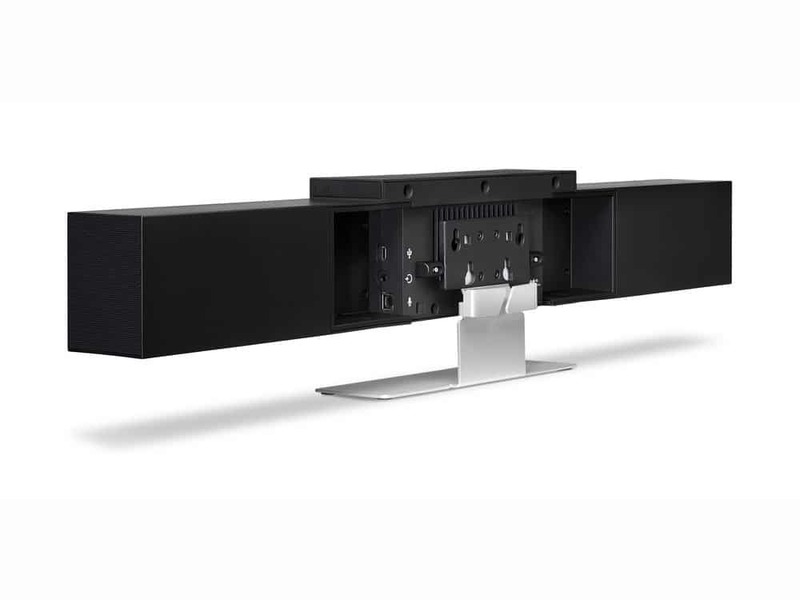 The Polycom Studio can be wall mounted with the kit that is included or it can be attached to the bottom or top of a display with the addition of the optional display mount.